Top 10 Campsites at LuxCamp - Book your next Camping Holiday at the best price. Below you will find the 10 best and most popular campsites in Europe. Visit the most beautiful areas in Italy, France, Spain and Croatia and find out for yourself why these campsites are among the best in Europe! Find the best and most popular campsites in Europe at LuxCamp! We offer you the largest range of campsites. 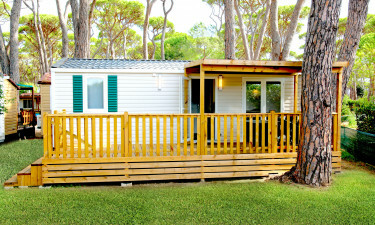 Whether you are looking for a quiet and small campsite, or a large and lively campsite, at LuxCamp you will find it all. The campsites offer a wide range of accommodations, from modern mobile homes and bungalows to cosy bungalow tents. In addition, our campsites are always located in the most beautiful settings. 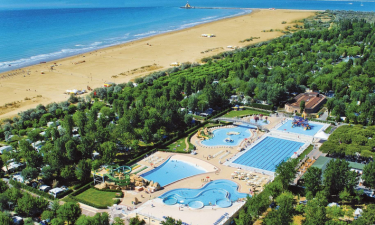 These great campsites offer you not only all kinds of activities (which are usually free of charge) and entertainment for your children, but also good restaurants where you can taste regional specialities. Want to know more about these top campsites? 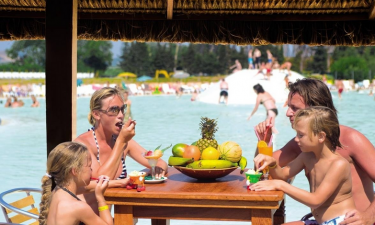 Book your holiday today and experience a relaxing, but also adventurous and varied holiday with your family at the best price at LuxCamp. Camping has changed a lot over the years. Nowadays you don't need your own caravan or tent anymore and you stay comfortably in a mobile home or luxury tent. With us you can easily and quickly search, compare and book. After all, we are not called 'LuxCamp' for nothing. We are constantly striving to select the best and most popular campsites and to constantly expand our program. 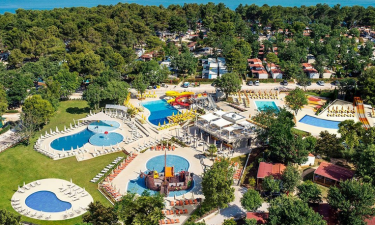 The campsites we offer provide everything you need to relax, from wellness and whirlpools, large swimming pools with slides, a family friendly atmosphere, kids clubs and entertainment to delicious local specialties to eat in the campsite's own restaurants.